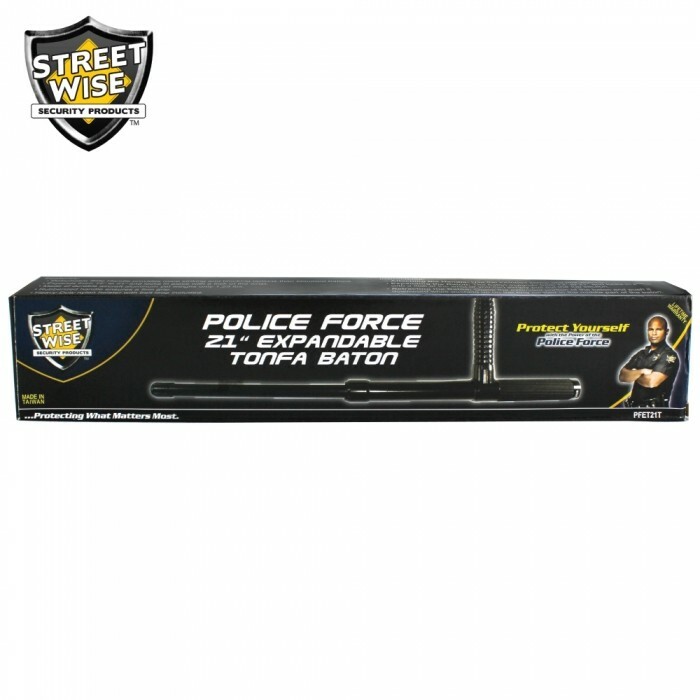 Our Police Force batons engineered to meet the demands of police, military and security professionals worldwide, yet made available to civilians. 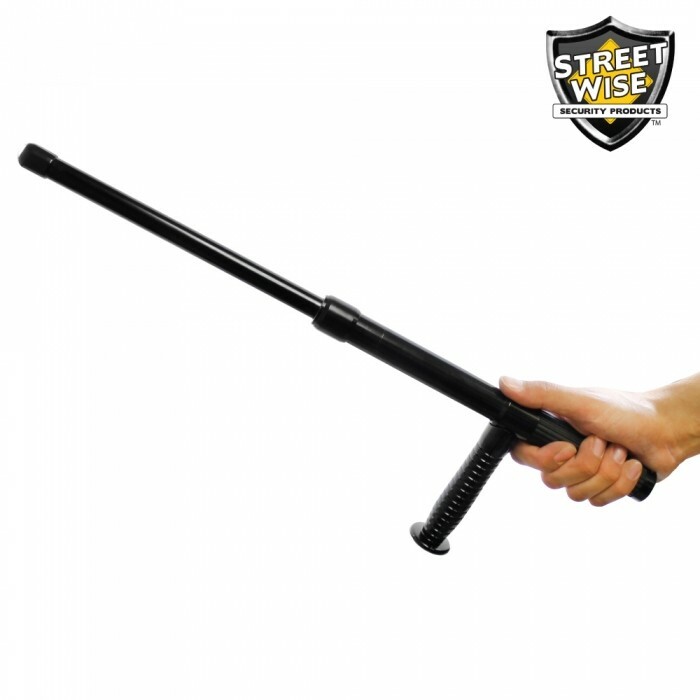 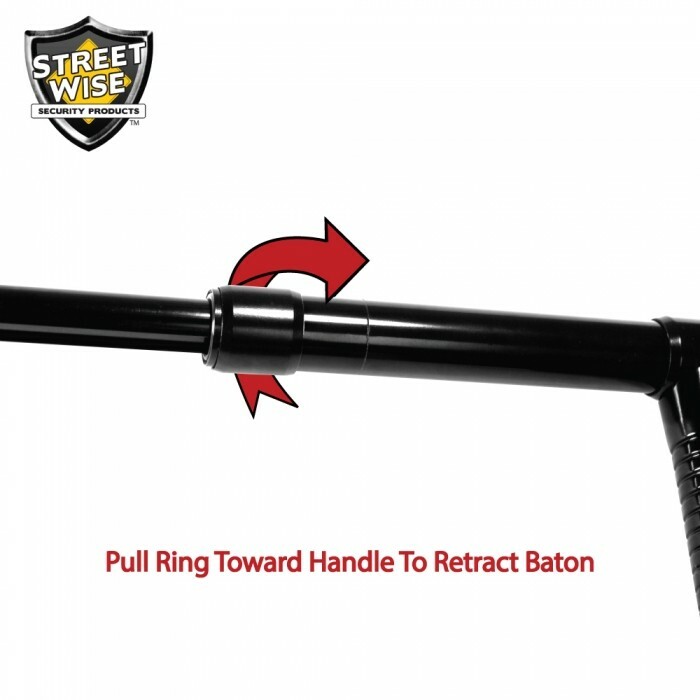 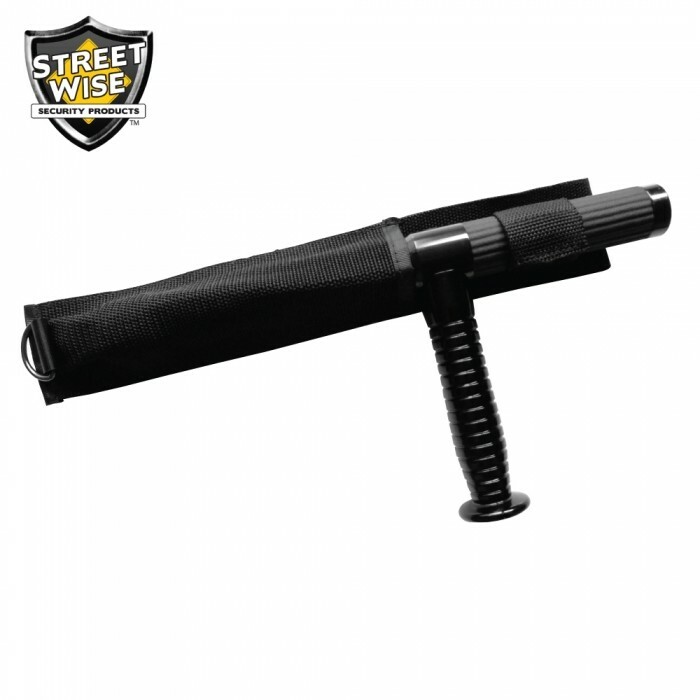 This compact and convenient tonfa baton expands from 12" to 21" with just the flick of the wrist. 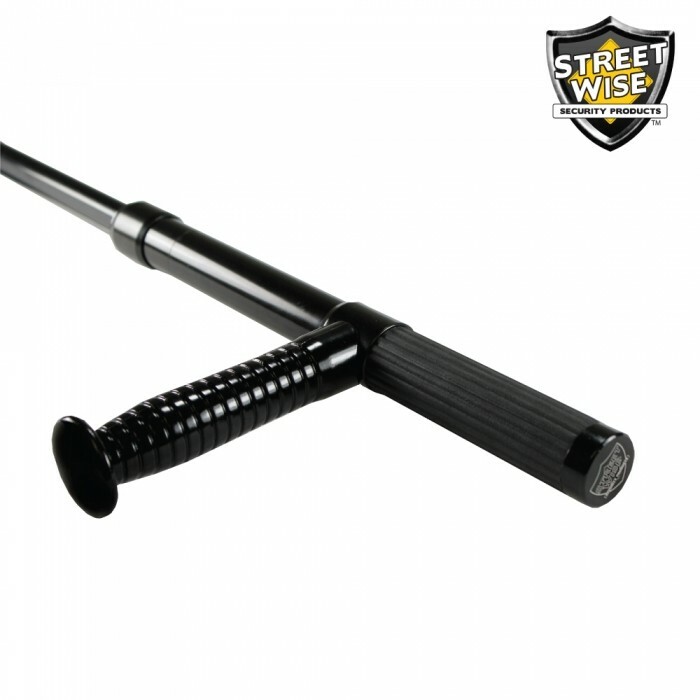 Durable: Made of durable aircraft aluminum yet weighs only 1.25lbs. 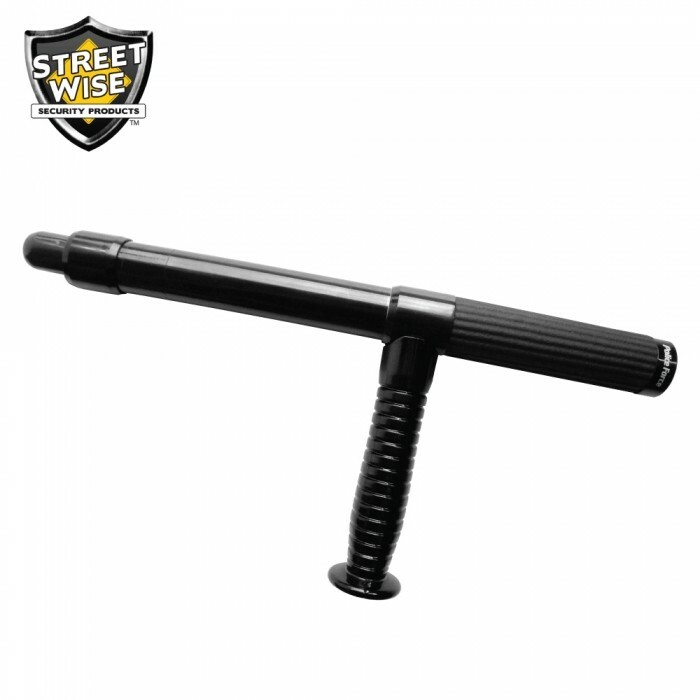 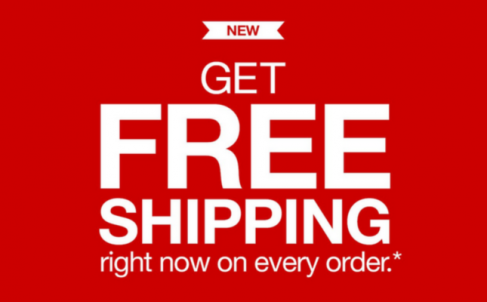 No Slip Grip: Rubberized handle ensures a firm grip.